Obviously as WordPress.org is open source then it’s pretty safe, but I still wouldn’t even like to see Automattic (they who run WordPress.com, Akismet et al) get absorbed into another company. 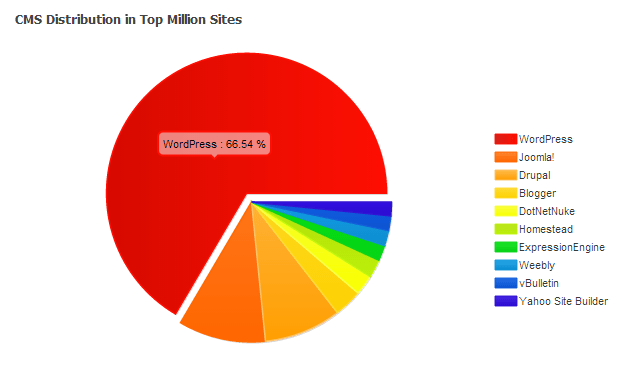 And check it out – WordPress currently powers 66% of the top million websites on the web. I think it’s estimated as powering about 10% of all websites on the web. Nice. I don’t think there’s any danger of that independence being lost, but no harm in saying “stick by your guns, Matt”!